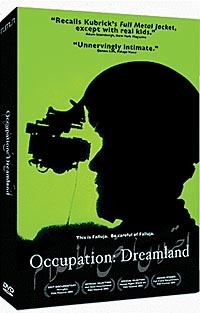 "Occupation: Dreamland," an award-winning documentary film by UC Santa Cruz alumnus Ian Olds, will be screened on May 2. 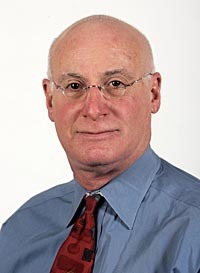 Time magazine senior correspondent Michael Weisskopf, author of "Blood Brothers: Among the Soldiers of Ward 57", will be the featured speaker on May 24.
Who serves in our nation's wars? Why did they serve? What is their experience? Those questions are the inspiration for "Personal Perspectives of the Iraq War and Past Wars," a series of film screenings and talks by award-winning filmmakers and authors that will take place at UC Santa Cruz, May 2-24. Time magazine senior correspondent Michael Weisskopf, an embedded journalist on assignment in Iraq in 2003-who lost an arm when he threw an incoming grenade out of a Humvee, saving the lives of the soldiers he was writing about-will be the featured speaker on May 24 at Merrill College. The only reporter ever allowed to be in recovery at Walter Reed Army Medical Center's Ward 57 (which is reserved for military casualties), Weisskopf is the author of Blood Brothers: Among the Soldiers of Ward 57. He was featured on the cover of Time in October of 2006 and has recently appeared several times on National Public Radio to discuss the issue of substandard conditions for veterans and amputees at Walter Reed. Ian Olds, a UCSC alumnus who graduated in 1998, will return to the campus on May 2 to kick off the series--and screen his award-winning documentary film, Occupation: Dreamland, a behind-the-scenes look at the embattled Iraqi city of Fallujah in the winter of 2004. Olds's film was honored with a 2006 Independent Spirit Award, and the former film student will host a discussion after the screening. Charlie Trujillo, the award-winning author of Soldados: Chicanos in Viet Nam and the novel Dogs From Illusion will also come to UCSC on May 4 to talk about his war experience. Trujillo served in Vietnam as an infantry sergeant and was awarded the Purple Heart and a Bronze Star medal. The May series--scheduled during the month of the Memorial Day holiday--includes five additional film screenings, including The War Tapes (2006) an acclaimed documentary filmed by soldiers themselves in Iraq; The Tuskegee Airmen: They Fought Two Wars (2003), about black pilots during World War II; Frontline: A Company of Soldiers (2005) filmed by an embedded production team following a small unit in Baghdad; Beyond the Barbed Wire (1997), the story of Japanese Americans who served in WWII while many of their families were held in internment camps; and The Navajo Code Talkers (1996), about Navajo marines who created the only unbroken code in modern military history through the use of their ancient language. "The series offers a look at war from the perspective of people who have been there--journalists, soldiers, civilians--it's a good mix," said Dennis Tibbetts, director of UCSC's American Indian Resource Center, who is coordinating the series. Tibbetts was drafted in 1966 and saw combat himself the following year as a marine in Vietnam near Dong Ha. He noted that Native Americans have a long history of serving in the military and that this got him thinking about who actually ends up serving in the armed forces. He decided to put together a series of film screenings focusing on those who had served in different wars--from World War II to Vietnam to Iraq--and to personally invite notable speakers to share their reflections on what they saw and experienced. "Each ethnic group and race has a different story on how war affects them," Tibbetts observed. "Japanese Americans were interned during World War II, but they also died in very high numbers just to prove their loyalty to the United States. In Vietnam, Native Americans served at a very high rate--at nearly 25 percent of their age group male population. In Iraq, it seems to be more about class than racial or ethnic groups. But I don't think people really have a sense of who's paying the price, who's dying in this war today," he added. Tibbetts plans on leading discussions following several of the film screenings. He noted that there are very few veterans at UCSC, and he hopes the series will help students gain knowledge about who serves in the armed forces, what the actual combat experience is like, and particularly, what happens afterward when soldiers come home. "It's an all-volunteer army and many people are personally untouched by the Iraq war, but there are going to be a lot of veterans coming back who are very damaged," Tibbetts observed. He noted that the survival rate for people wounded in Iraq is nearly double compared to Vietnam, because it's an urban war with better technology, Humvees, and body armor. "In Vietnam, people often bled to death before they got help," Tibbetts said. "In Iraq, more people are now surviving, but also losing arms, legs, and eyes, or suffering brain damage. As (Time correspondent) Weisskopf points out in his book, there's been a horrific lack of planning for amputees, as well as for the long-term costs of rotating guys though Iraq two or three times." "Most of these soldiers have a sense of pride in being in the military, of volunteering to defend their country," Tibbetts added. "But these documentary films show that it's very obvious early on after Saddam is overthrown that there is no strategy for the aftermath. It's very much like Vietnam, where you knew as soon as you landed, it was just about trying to stay alive, not about establishing a democracy. I recognized that immediately in these films." *All events are free and open to the public. 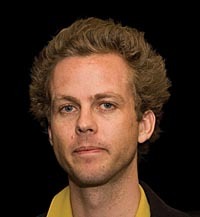 Ian Olds is the codirector of Occupation: Dreamland, a documentary about the first Battle of Fallujah in the Iraq War. Olds will show and discuss his award-winning documentary. Charlie Trujillo served in Vietnam as an infantry sergeant and was awarded the Purple Heart and a Bronze Star medal. After his discharge, he continued his education and received a B.A. from UC Berkeley and an M.A. from San JosÃ© State University. He is the award-winning author of Soldados: Chicanos in Viet Nam and the novel Dogs From Illusion.
. Wednesday, May 9 -- World War II - Screening: The Tuskegee Airmen: They Fought Two Wars (2003, 60 minutes). This World War II story spotlights 450 men who fought on two fronts at once. Trained by the segregated military system as an experiment to see if blacks could fly in combat, these pilots made more than 15,000 sorties and 1,500 missions. Their success led to the integration of the U.S. armed forces. Discussion to follow.
. Thursday, May 10 -- Iraq War -Screening: Frontline: A Company of Soldiers (2005, 90 minutes). A documentary about a small unit of Dog Company of the 1st Battalion of the Army's 8th Cavalry Regiment who served in South Baghdad. An embedded production team follows soldiers as they patrol. Discussion to follow.
. Tuesday, May 15 - World War II - Screening: Beyond the Barbed Wire (1997, 80 minutes). The story of the Japanese Americans who served in Europe during World War II in the 442nd Regiment and 100th Battalion while many of their families were being held in internment camps. Discussion to follow.
. Friday, May 18 -- Iraq War - Screening: The War Tapes (2006, 97 Minutes). An award-winning documentary that is the first war movie filmed by the soldiers themselves. The War Tapes is about Operation Iraqi Freedom as filmed by Sergeant Steve Pink, Sergeant Zack Bazzi (who is Lebanese and speaks Arabic), and Specialist Mike Moriarty. These men served in Charlie Company, 3rd of the 172nd Infantry (MOUNTAIN) Regiment, of the New Hampshire National Guard. The film, directed by Deborah Scranton, won the award for Best Documentary at the 2006 Tribeca Film Festival and Best International Documentary at the inaugural 2006 BritDoc Festival. Discussion to follow.
. Tuesday, May 22 -- World War II - Screening: The Navajo Code Talkers (1996, 50 minutes). The true story of the Navajos who served in the Marine Corps who had the only unbroken code in modern military history. Navajo soldiers weaved their ancient language into a cipher that the Japanese were unable to break. Discussion to follow. Michael Weisskopf is a Time magazine senior correspondent who is the author of: Blood Brothers: Among the Soldiers of Ward 57. The Iraq War has seen the 500th amputee of those in uniform. Weisskopf was an embedded journalist when a grenade landed in his Humvee; when he picked it up to throw it out, it took his arm off. His story is about his own recovery and the recovery of the servicemen in his ward. For more information, contact: Dennis Tibbetts, Director, at (831) 459-2881 or dtibbett@ucsc.edu.